Growing up, we had a chair that one half of our family claimed was green, and the other half brown. 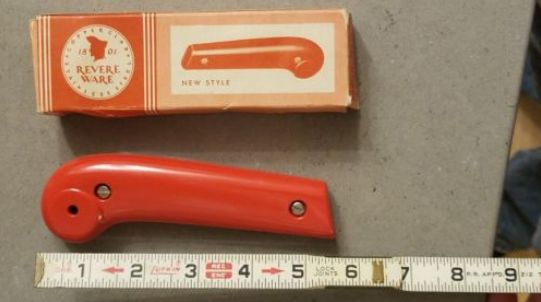 These handles recently listed on eBay (here and here) are similar, I see red, but also admit to the possibility that they are orange. 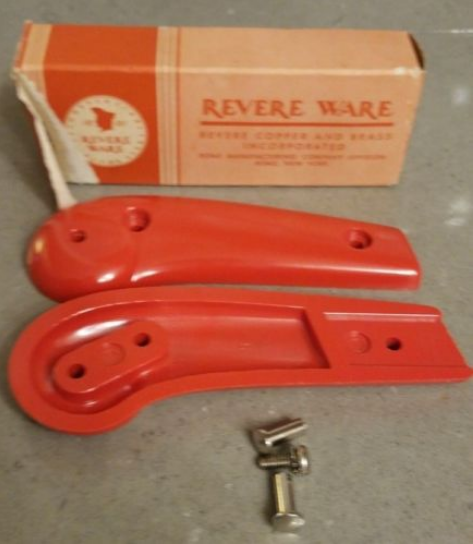 If you are one of the Revere Ware collectors who shares the fascination with colored handles with the people that seem to bid these up quite high, now is your chance.